If you’re a VIB member, you can use the code “20FORVIB” for 20 percent off. Beauty Insiders can take 15 percent off with the code “INSIDER15.” The best part is you can use these codes as often as you like over the five days! If you aren’t already a Beauty Insider, sign up for free today! There are three tiers: Beauty Insider, VIB, and Rouge. Depending on how much you spend each year, you get gifts, free beauty classes, makeovers, free shipping, and invites to private events! 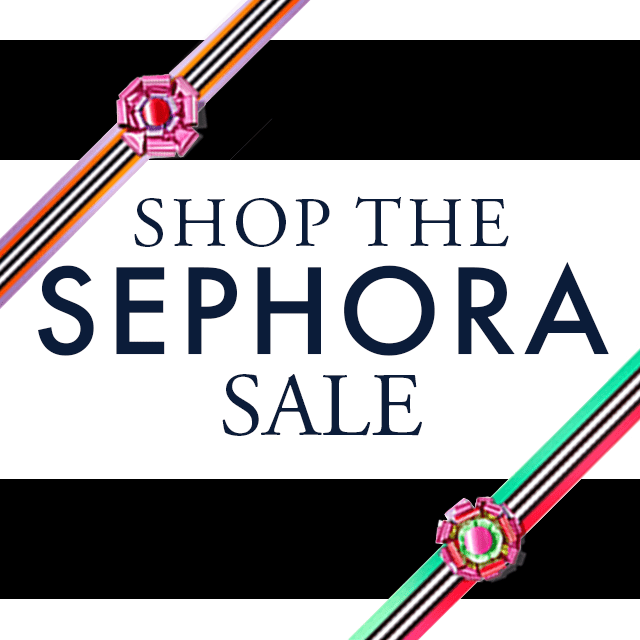 The Sephora sale is the perfect time to buy those holiday presents, restock your favorites, or get a discount on those products/ tools you’ve always wanted. I spent wayyy too much time on sephora.com and these are the products I’d buy even if they weren’t on sale, so the sale makes it SO. WORTH. IT.!! Ok, WHAT?! This is only $59 but is worth over $430! 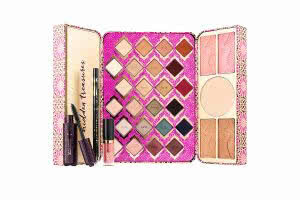 This has an amazing assortment of 24 neutral eyeshadows, my favorite bronzers, a mascara, eyeliner, lip paint, two blushes (I LOVE their blushes) and Tarte is 100% cruelty-free! Buy this before it sells out! By now you’ve probably noticed I am a huge advocate of primer and setting my makeup so it lasts all day/ night. This set is a great way to find one that works for your skin type! It has an assortment of eight of the most popular brands, and it’s only $42! Glamglow has the best products. I love their masks and moisturizers. I’ve been wanting to try Gravity Mud and the fact that it comes with other masks that I know I love makes it so worth it. Yes, it’s pricey, but this is the perfect time to buy it! I just bought the full size (1 oz.) of the Wild Rose Vitamin C Active Brightening Oil for $54… This is SUCH a steal!!! It’s .5 oz. and also comes with the Wild Rose + Vitamin C Advanced Brightening Sleeping Facial for only $24!! Everyone needs an amazing Vitamin C in their life and I 100% recommend this one. This is my FAVORITE foundation. It is pricey but so worth it. The sale is the perfect time to buy it. I may buy 2… (For reference, I wear Punjab). I received this as a sample and absolutely love it. It is so smooth and buildable, which means it’s easy to apply. You can’t mess it up! This also comes with the set I mentioned above! This is the perfect set if you are trying to figure out which colors/ types of lip products work for you. Buying a full-size lipstick/ gloss usually starts around $18, so why not buy a sampler that is valued at $254 for only $68, and get to try 10 amazing products! Ole Henriksen is the man. I used his products when I had horrible acne in my early 20s. They worked so well that I am a forever fan. This amazing set has all of your skincare needs covered! Plus it’s only $69- that’s the price of 1-2 products regularly priced! Everyone needs this in their makeup bag. Period. It is the most full coverage sunscreen I’ve found. I usually wear this during the week as my makeup. It covers red spots, dark spots, makes you look glowy, has SPF 50 (!!) and has so many skincare benefits! It is pricey so buy it on sale! I promise you won’t regret it. Plus a tube usually lasts me 5-6 months! (For reference, I wear Light). I LOVE these! I hate the cakey makeup look and this prevents it. 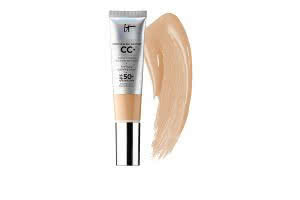 Have trouble blending concealer? Use one of these! Hate how makeup sits on your face? Grab this guy. Want your make up to last longer? Done. Just trust me on this and buy this. I clean mine regularly and they last for years. If you read my last post, you know this is THE BEST gift for any guy in your life. It comes with 12 of the most popular cologne samples and after he (or you) chooses a favorite, there’s a coupon for a full-size bottle! Same idea here, except with perfume and 17 samples! I’m so picky about scents and this set has always helped me narrow it down. Ok, this is a major splurge but I bought it and can’t wait to try it!!! Nuface uses microcurrent technology that improves facial contour and tone, as well as reduce the appearance of fine lines and wrinkles. I will do a post on this soon! Ok, so that’s it! I could have written a novel with all of the great products that Sephora has right now. Did I miss anything AMAZING? Please let me know! Also, tell me what you ended up buying- I love to know what you all use. Thanks for sharing! I love Tarte and I’ve been wanting to try the Nuface! Ah! 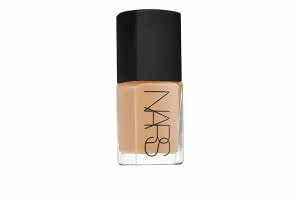 Love NARS and the Beauty Blender! Can’t wait to shop this sale! Thanks for sharing! I’m obviously obsessed with the tarte kit & for that price it’s a must! I love Sephora too. I can spend hours in there 🙂 these are all really great choices! I want to trynthe nuface soo bad ! I need some before and afters! Great choices! The perfume samplers are always a hit and I love that they include the voucher for a full size of your favorite! The Ole Henriksen set looks FAB and you can’t go wrong with Glamglow masks. Can’t wait to see your review on the NuFACE! Omg, v useful post. That Ole Henricksen advent calendar tho… 😭 Perfection!! Congrats on 1K!! Keep up the great work! 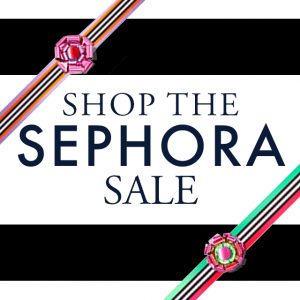 The Sephora haul has some great ideas…. on my wish list is the fragrance sampler! Sadly I’m not at the 20% off level but I’m excited for the sale! Definitely going to check some of those kits out! Thanks for all the recommendations! I’m now gonna try the NARS, CC Cream, and beauty blender! So many of these would make great Christmas gifts! I’ve never owned a Beauty Blender and definitely want to try one! Great choices!!!! Love your posts!!!! Thanks for this.I love Sephora. This is a great time to stock up! Excited to see the nuface results! Thanks girl, I’m checking out the vitamin c now, I have been needing a brightening serum! Oh my gosh you gave the best recommendations!! I’ve been resisting but you may have convinced me to dive in for that tarte treasure box and another tube of the it cosmetics cc cream! Love that stuff!! Thanks for the tips and product recommendations! I’m definitely going to get a beauty blender and try the Wild Rose Vitamin C kit while on sale! Amazing review on the products in the sale👏👏 with so many options these days it awesome to have someone make personal recommendations! Thank you!! I love all these sample ideas! I’m always hesitant to spend a lot of money on something new and not know if I’ll love it or not. These make great gifts too! I might check out the give me more lip! Hi Emily! I’m the same way. Thats why I love Sephora.. you can return anything! Seriously loving the new tarts sets. Beautiful colors, especially for fall. Super helpful with Christmas coming. Plus, I’ve never had to return anything before so it’s always comforting to know they’re easy to deal with in regards to their returns. Thanks for your shares!